Patients trust their doctors to have the medical knowledge and training necessary to correctly diagnose and treat their illnesses. However, doctors sometimes provide the wrong diagnosis, fail to recognize that a patient's symptoms are related to a serious illness, or offer no diagnosis at all. Both misdiagnosis and the failure to diagnose can be harmful to a patient's health, exposing them to unneeded, potentially painful, and invasive procedures, while the actual problem continues without proper treatment. 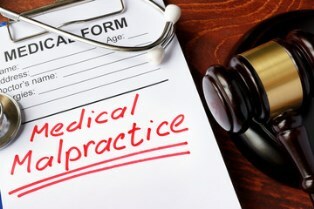 In some cases, medical malpractice is involved. Missed and incorrect diagnoses are fairly common. According to a 2014 study published in BMJ Quality & Safety, approximately 12 million adult patients are misdiagnosed in outpatient settings each year in the United States. This statistic represents a misdiagnosis for one out of every 20 adult patients annually. However, while misdiagnoses can be problematic, they're not always medical malpractice. It's not enough for a doctor to have made a mistake; to be medical malpractice, the patient must have suffered real harm as a result of the incorrect diagnosis. He must be able to show that the care received was below accepted standards and inferior to the care he would have received from a doctor with similar training. If you suffered injuries after a misdiagnosis, or you were subjected to unnecessary and incorrect treatment while your actual health problem was not addressed, contact the Holton Law Firm to discuss your case. We’ll help you determine if your doctor was medically negligent and if you’re entitled to compensation for damages. Call us today to schedule a free initial consultation.